Gov. 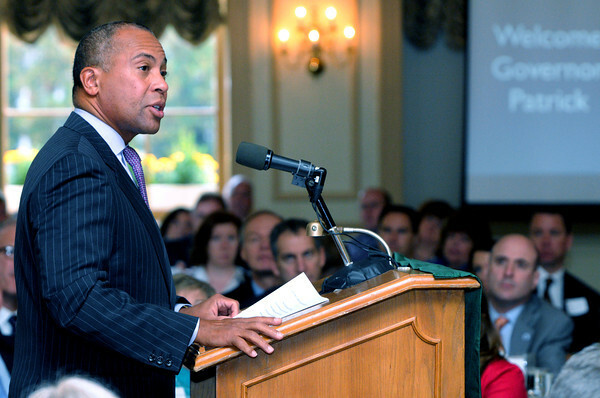 Deval Patrick speaks during the North Shore Chamber of Commerce's Leadership Breakfast with Governor Deval Patrick at The Hawthorne Hotel. Photo by Ken Yuszkus, The Salem News, Wednesday, October 16, 2013.